It seems just like yesterday I took my children to San Diego for spring break. 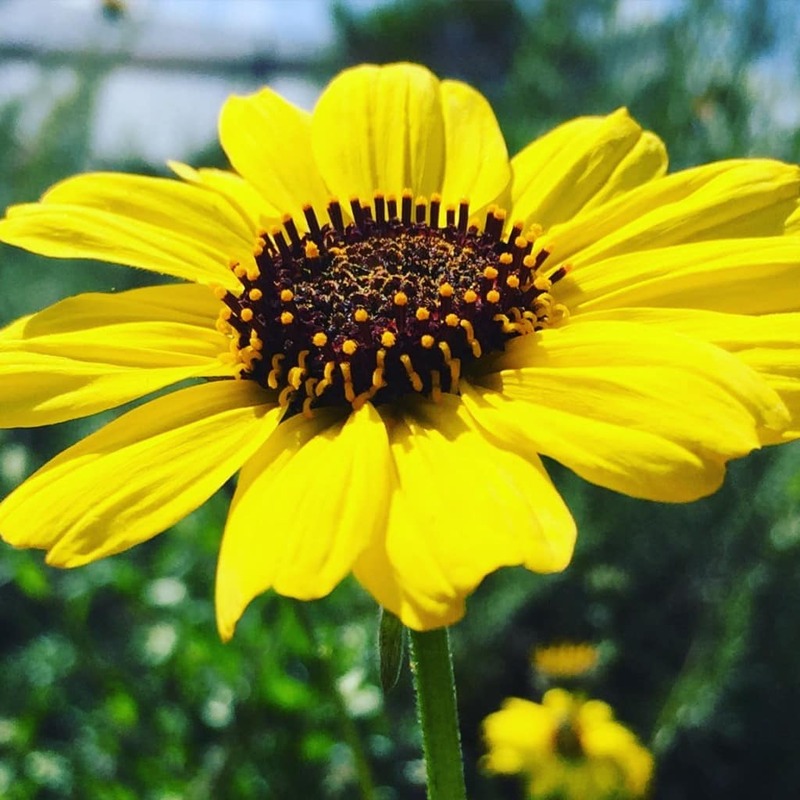 Not only did we visit The Flower Fields of Carlsbad and Edna Harper’s Topiary Garden, but we also toured the Living Coast Discovery Center in Chula Vista. 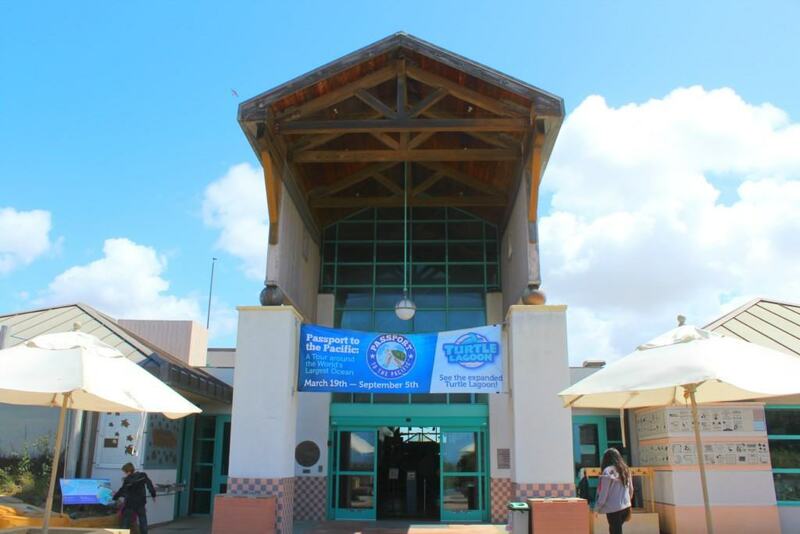 The Living Coast Discovery Center is a small zoo and aquarium educational facility located on the San Diego National Wildlife Refuge, Sweetwater Marsh Unit. 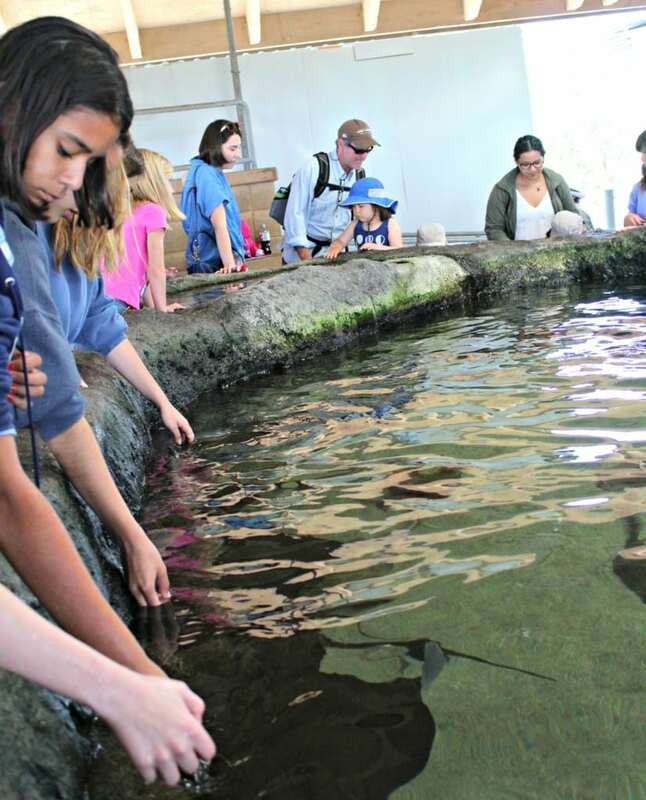 The interactive nature center focuses on animals native to the San Diego Bay such as stingrays, sea turtles and more. 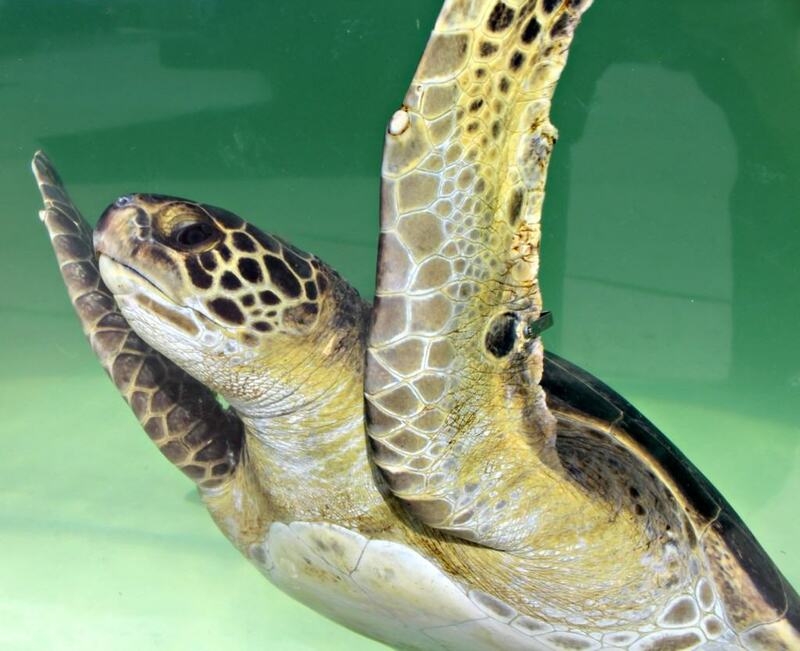 Recently, the Living Coast Discovery Center expanded their turtle lagoon exhibit at the aquarium’s entrance to make more room for their four Eastern Pacific green male sea turtles. Field Trip Boy got up close and personal with a few of them as they came to greet us at the window. They were quite interactive and friendly little guys! We learned that the Eastern Pacific green sea turtle is large and heavy with a wide shell. 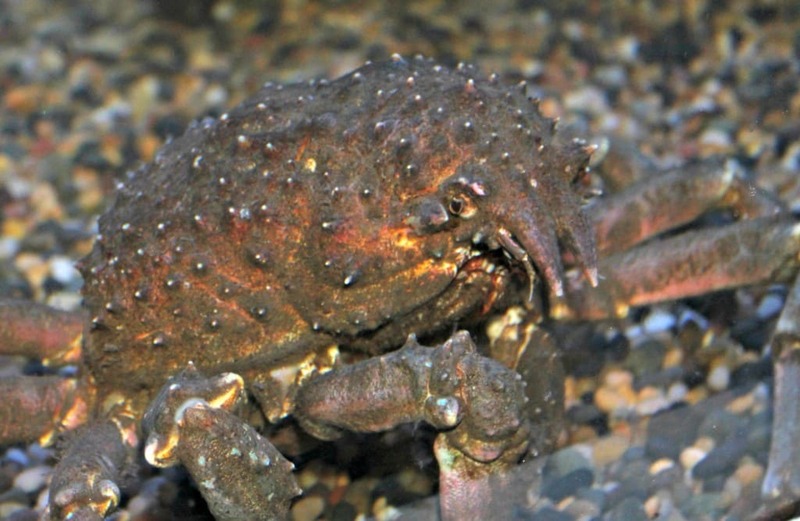 It inhabits tropical and subtropical coastal waters from Alaska to Chile and swims ashore to bask in the sun. 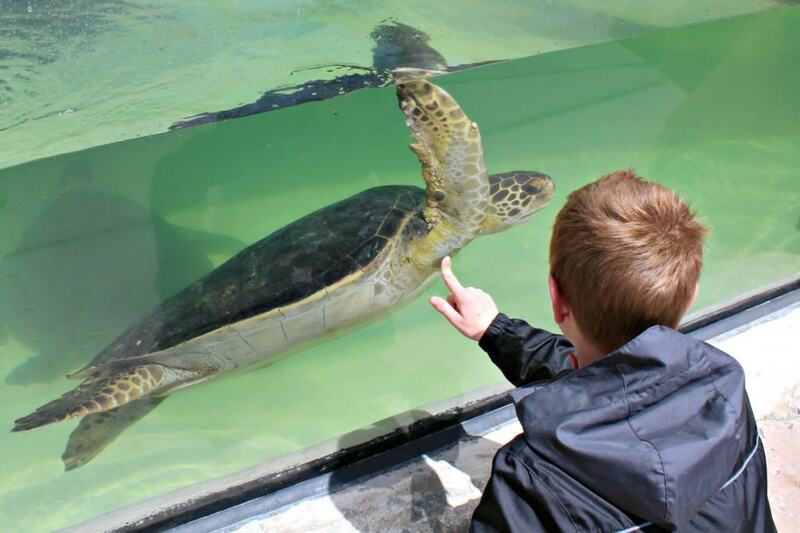 Guests are welcome to watch a turtle feeding everyday at the center at 2:00 pm. 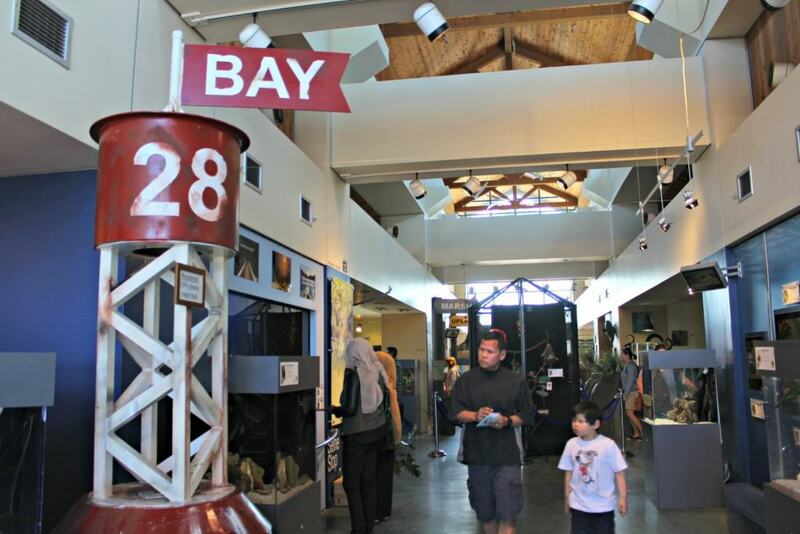 Right now when you visit the Living Coast Discovery Center, you will experience the center’s new seasonal exhibit: Passport to the Pacific–A Tour Around, the World’s Largest Ocean. 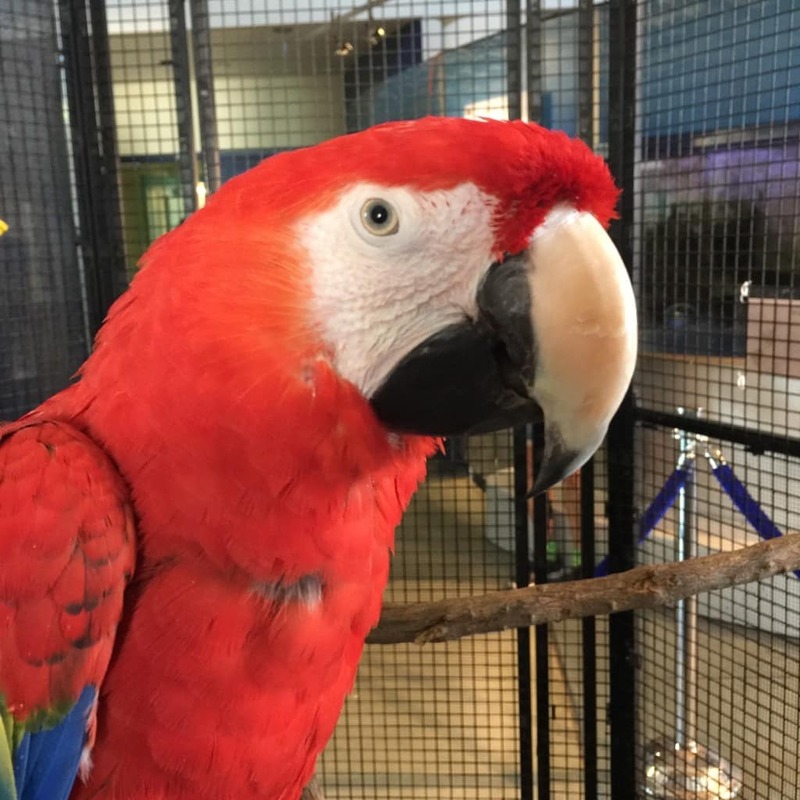 Throughout the exhibit, you will travel to different habitats from around the Pacific and discover animals like the scarlet macaw from the tropical forests of South America to a blue tongue skink from the deserts of Australia to geckos from the tropical forests of Southeast Asia. 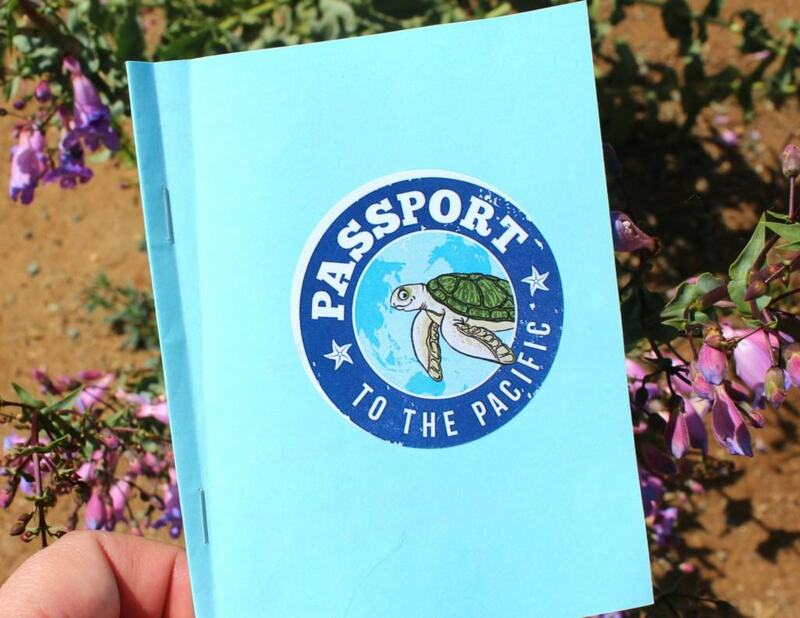 Children are highly encouraged to grab a complimentary passport book and stamp their passport at each activity station along the way. They also have three to four photo stations where you can take funny pictures with your kids! 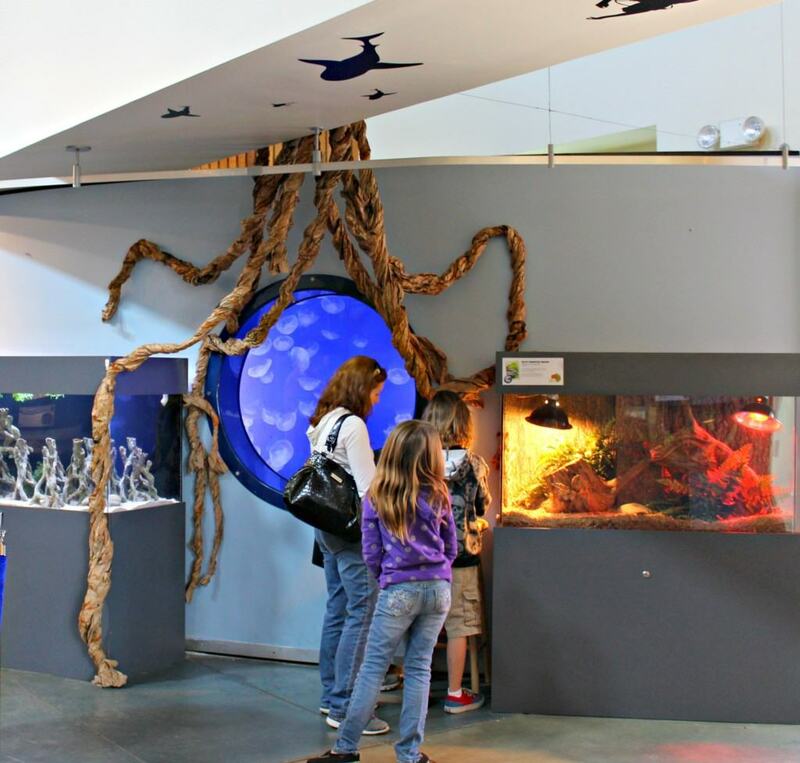 While in the main gallery of the nature center in San Diego, you can also view a wide array of seahorses, jellies, eels, sharks, lobsters, crabs, octopus, garibaldi, abalone, sea stars, snakes, lizards and more. Just look at this crab’s eyeball! It is so detailed and so stunning. Outside in the Shark and Ray Interactive Experience, my kids and I entered a fascinating world of sharks and rays. 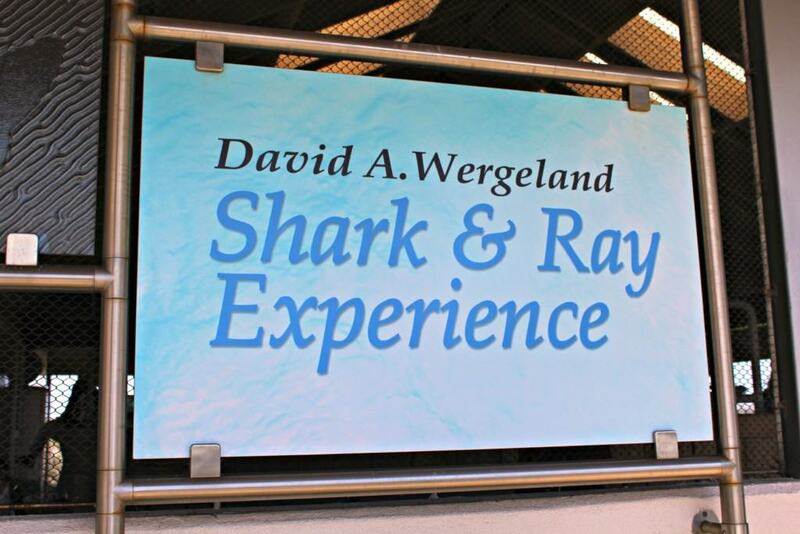 Field Trip Boy and Field Trip Girl got to touch the velvety backs of friendly rays in the interactive touch pool and view four different local shark species in their large 21,000 gallon exhibit with multiple underwater viewing areas. They also watched a live interactive animal feeding which is offered everyday at 11 am and 1:30 pm. 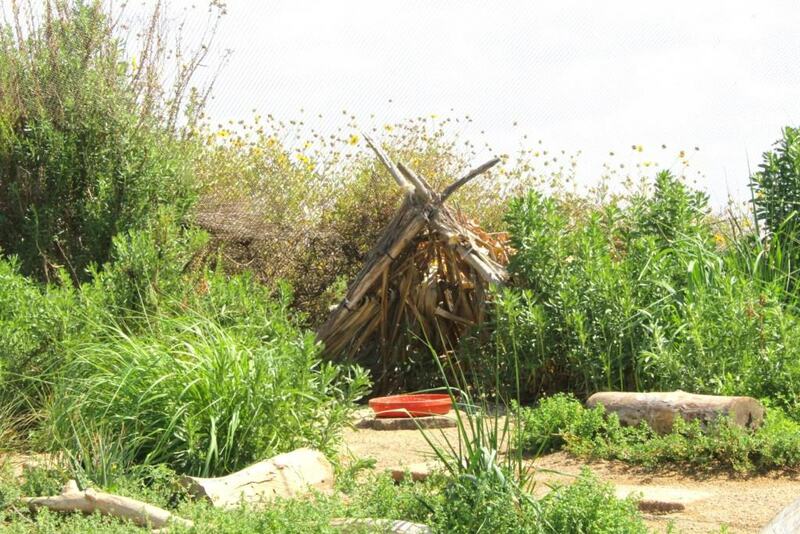 While outside, we walked through the Native Plant Gardens & Composting Demonstration Garden. 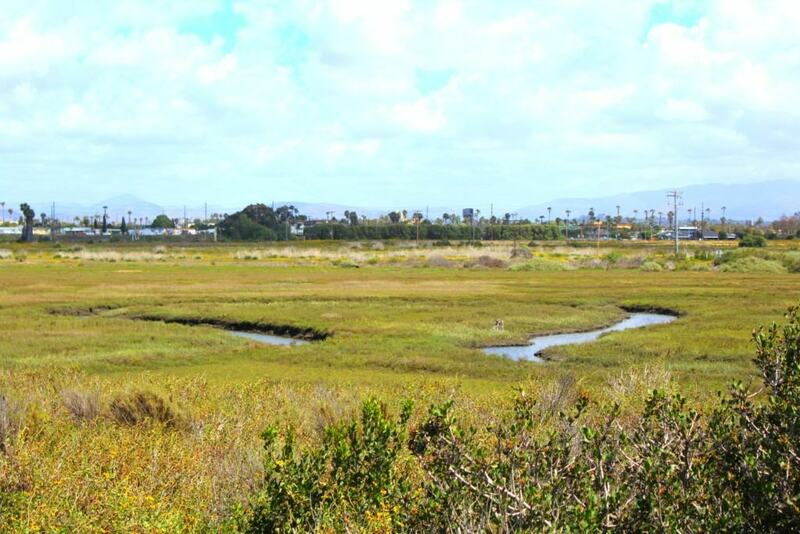 I learned that from the mountains, to the desert, to the coastal beaches and estuaries, San Diego County contains more biological diversity than any other county within the 48 contiguous states. Almost all of the yucca, cactus, trees, and shrubs on the grounds of the Living Coast Discovery Center are native to their local surroundings. 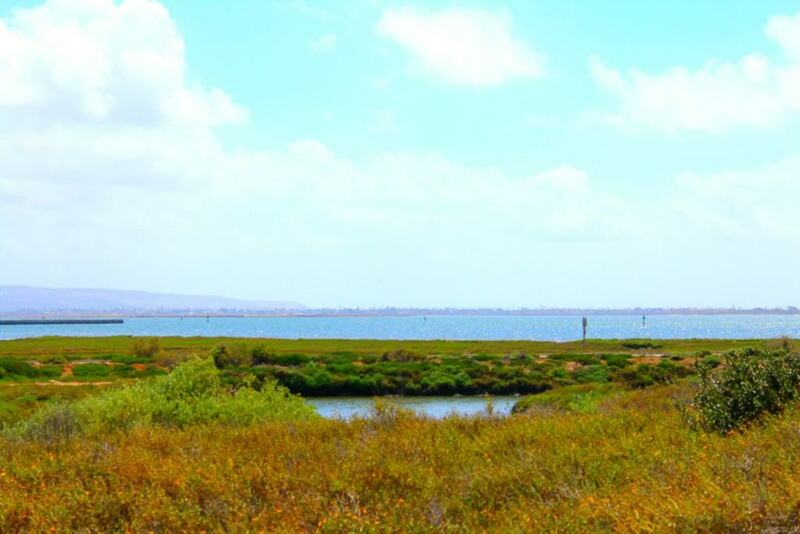 The center encourages visitors to bring a picnic lunch and take a 1.5 mile walk from the Discovery Center exhibits out to the shore of San Diego Bay to enjoy the stunning view. 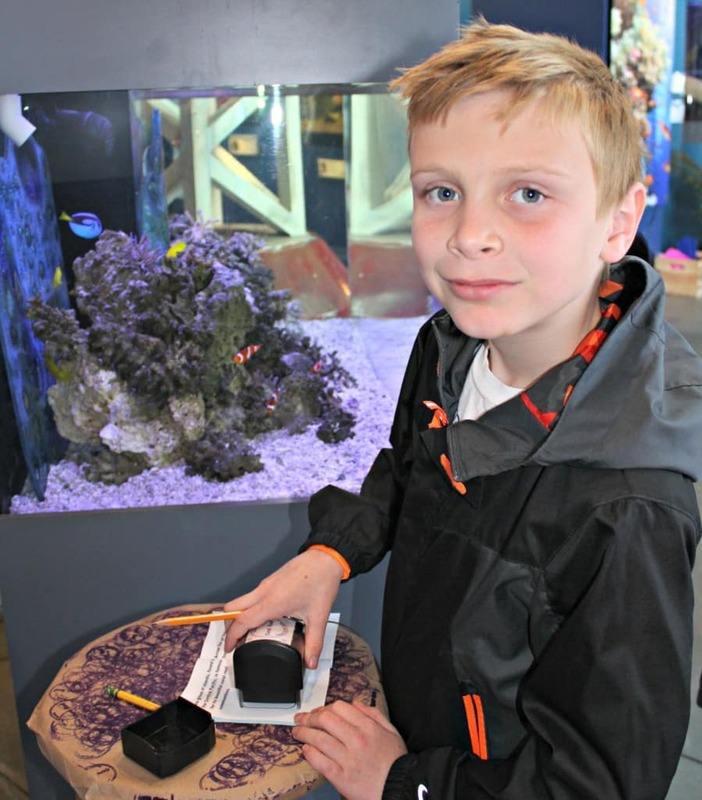 The Living Coast Discovery Center offers field trips for preschool – 12th grade students, homeschoolers and scout troops year round. During a field trip, groups are led by a Living Coast interpretive guide. 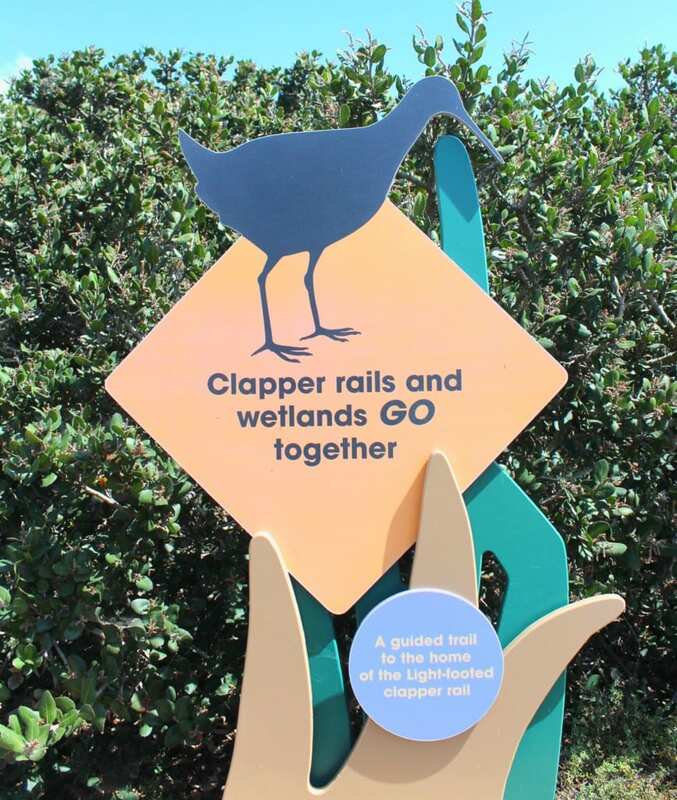 Depending on your guide’s expertise, he or she may choose to emphasize key topics such as watershed protection, recycling, pollution, native plants and animals, as well as practicing responsible outdoor recreation. Ratio limits include 20 students per tour. Tour prices vary and advance reservations are required. 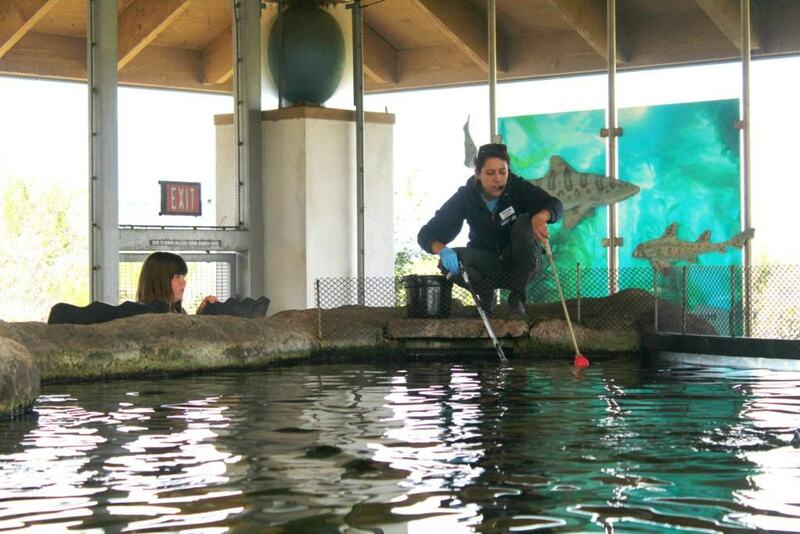 Furthermore, the Living Coast Discovery Center offers another program called Living Labs. Living Labs are educational classes that are designed to be fun, engaging, educational and meet the new Common Core State Standards and the upcoming Next Generation Science Standards. Ratio limits include 40 students per program. 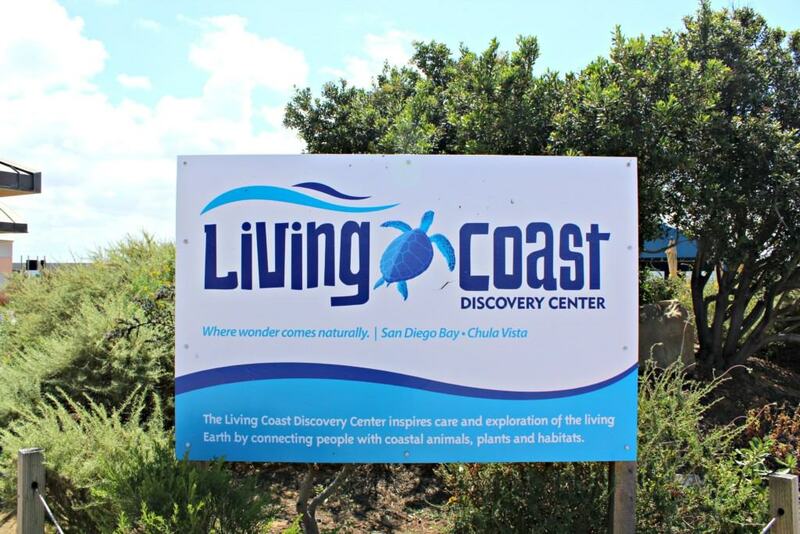 If you are looking for a Living Coast Discovery Center coupon, I recommend that you check out Living Social for a discount. 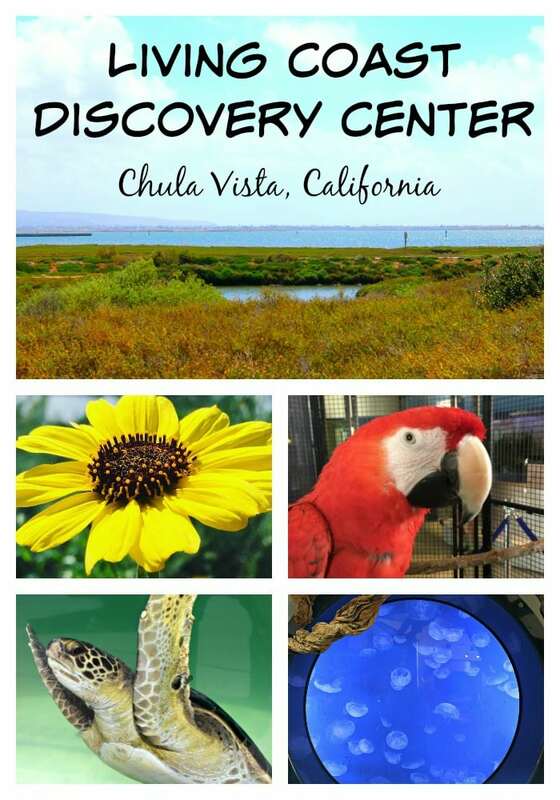 The Living Coast Discovery Center is located at 1000 Gunpowder Point Drive, Chula Vista, CA 91910.